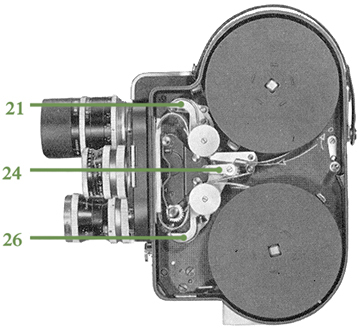 Note: When loading film, the loop shaper lever (24) is moved 90 degrees counterclockwise (parallel to the pressure pad), closing the loop shapers. 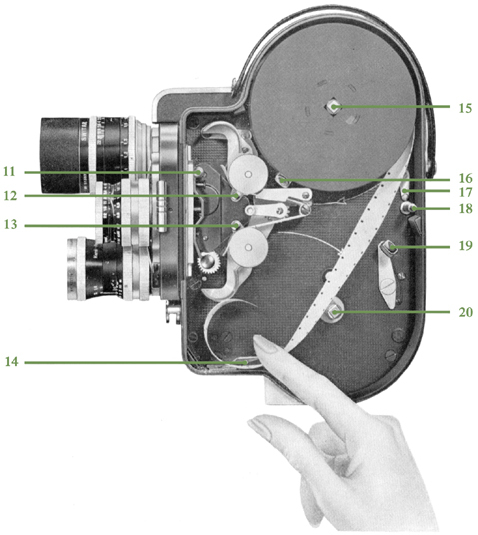 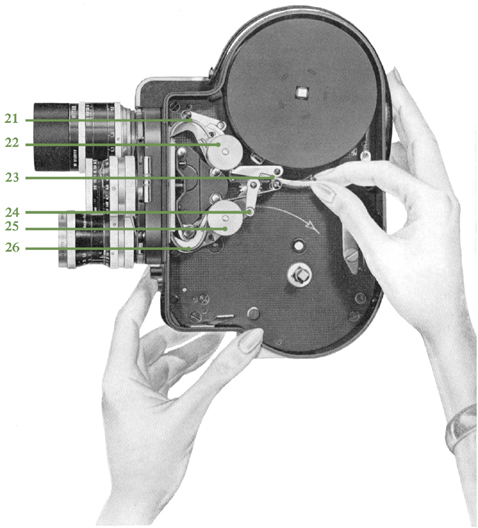 Above: After the film is loaded, the loop shaper lever (24) is pushed back up into position, opening the loop shapers. 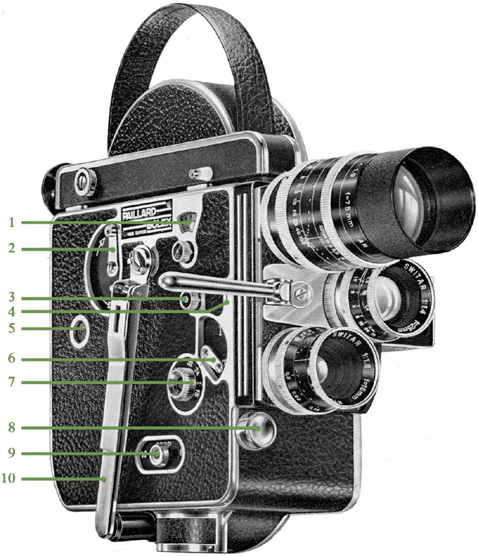 Replace and lock the film door, and your camera is ready to shoot!